It came out of left field to be honest. 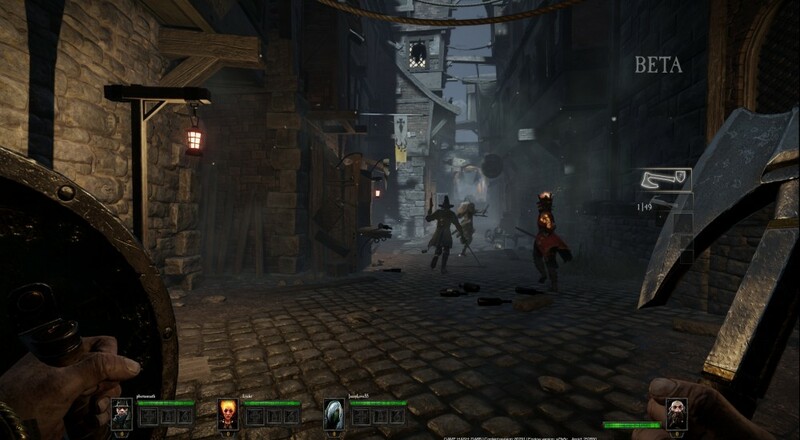 While we gathered from previously released media that Warhammer: End of Times - Vermintide shared a few characteristics with the popular co-op game Left 4 Dead, we had no idea that there was a loot mechanic to it! Five characters from the fantastical world of Warhammer team up against the Skaven through various missions set towns, forests, and other places one would expect to find humanoid rats. On Monday, the streaming crew checked out an early beta version of the game, giving us a taste of what the game has to offer. And offer it did. At first we were surprised at just how good the game looked. Then we were doubly shocked to learn this was no Unreal or Crytek Engine powered game - it's using something new from Autodesk. Yes, Autodesk's Stingray. That combined with some technology from Umbra has yielded some truly impressive and immersive visuals. The game itself starts in an inn, which acts as a kind of hub/lobby area, with players jumping into the role of one of five characters: Witch Hunter, Bright Wizard, Wood Elf Waywatcher, Dwarf Ranger, or Empire Soldier. Each character has specific weapons, armor, and trinkets he/she can collect during missions to augment their character in typical RPG fashion. There's also a crafting and upgrade system, though we didn't get to try much of that in the beta. Once everyone's geared up, you choose a mission from the map and off you go. The missions play out through a series of objectives. Some have you simply going from point A to point B, while others require you to guard an area or take exploding barrels from one area to another. All of this occurs while you are fending off hundreds of Skaven, which come in a variety of fun "rat" flavors. You've got your standard rats, your rattling gunners, rat ogres, rat assassins, and other nefarious rodent creatures that generally make your party's life miserable. Like a Left 4 Dead game, teamwork is necessary to survive and you'll be reviving fallen friends just as often as you'll be calling out where the health items are located. Warhammer: End of Times - Vermintide has quickly jumped onto our fall list of must play co-op titles. We simply had no idea this was such a strong cooperative and fun game. We're glad we dug in and are anxious to see the polished product when it hits PC on October 23rd. Page created in 0.3154 seconds.